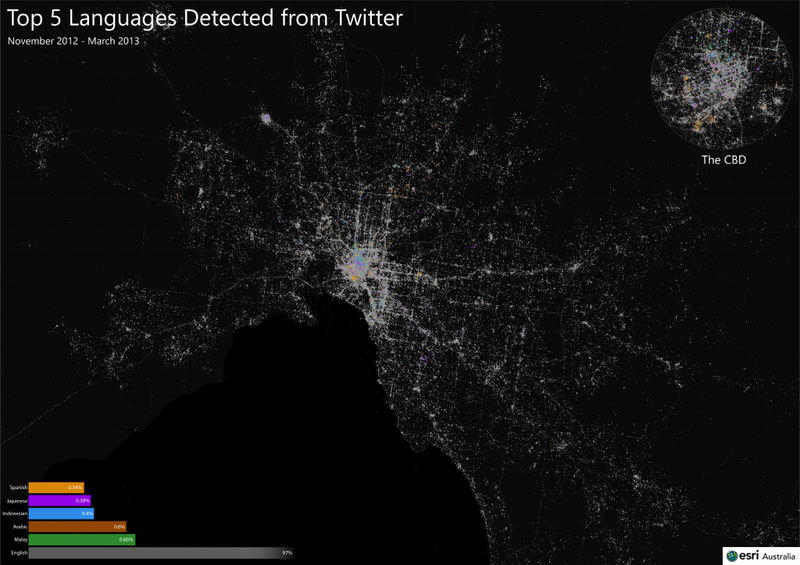 Languages of Melbourne detected from Twitter | Technical Blog. How cool is this picture? Tweeters tweet most in Malay, Arabic, Indonesian, Japanese and Spanish … the article actually talks more about Malay versus Indonesian, the lack of Greek tweeters, the lack of Chinese tweeters (in the light of China banning Twitter), and there is also a map of twitter swearing! Oh the fun you can have with Twitter streams!